Several car owners in San Francisco are asking questions Monday after their cars were broken into. The windows of at least a dozen cars parked along city streets near Lafayette Park were smashed in during the apparent crime spree. It’s an upscale San Francisco neighborhood, but neighbors tell us car break-ins there are a regular occurrence. “It’s a nice place, a nice park you know, there’s really nice apartment buildings all over the place but you still see a bunch of cars broken into on a regular basis here,” said San Francisco resident Rick Dubin. Dubin walks his dog down Sacramento every morning and says he sees smashed windows on a daily basis. Caitlyn He’s Ford was one of the dozen that were hit overnight. “We parked over here we thought it would be okay,” He said. Haresh Israni’s Mercedes was another. Police were dusting Israni’s car for finger prints Monday. A look at the police crime map doesn’t show this neighborhood as a standout for break-ins. In fact the crime map doesn’t offer a lot of insight when it comes to trying to identify auto burglary hot spots. 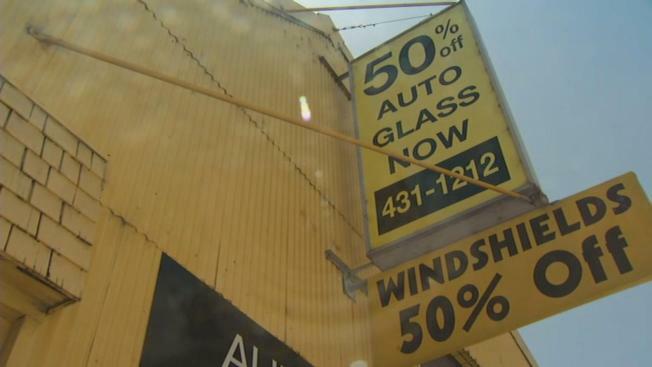 “It’s a slap on the wrist for a thief to break into a car - it’s a citation,” said Julio Lara, manager at Auto Glass Now. Lara claims lower penalties under Prop 47 are the reason for the break-ins. But a spokesman for the San Francisco District Attorney says that’s not accurate. “The increase in auto burglaries preceded Prop 47,” spokesperson Max Szabo said. The DA was a big supporter of Prop 47 and Szabo says car burglaries have actually declined in the past year, and enforcement is being concentrated.